Set in the large area in the heart of the city, Hero Homes Gurgaon is designed in a way to suit your lavish lifestyle. The township provides huge, affluent homes, extremely unique facilities and mammoth of space for the mind to stroll amidst the luxuries and comforts of the houses. With its striking urban style architecture, the township appeals to connoisseurs of superior living. So be the lucky one and scale the heights of living that you always have dreamt off. The township gives you abundant of prospects to buy the house of your dreams here. The amenities, the locality and the price have made this property one of the ideal choices to reside in the city. Hero Homes Dwarka Expressway is a luxurious offering to you by the Hero group that has all the essential facilities required for a better living. The flats are aesthetically designed with all world-class amenities. You can enjoy some high-end luxuries at the township including clubhouse, kid’s play area, swimming pool, gym, multipurpose hall, jogging track, tennis court, squash court, badminton court, inbuilt modular wardrobes, and kitchens. The township has around 75 percent of open space for you to relax and enjoy. Also, you will be offered 24 hours video security service and water and power supply. 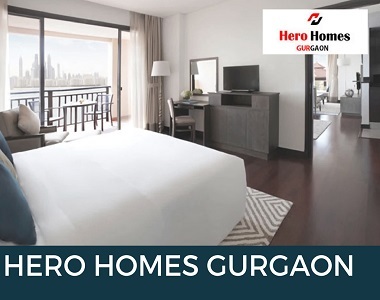 Located at Dwarka Expressway in Gurgaon, Hero Homes Sector 104 will offer you with excellent connectivity to all the major landmarks of the city. You will be elated residing in this township as the area has a very good social infrastructure. Some leading hospitals like Chirag Hospital, Sneh Hospital, Monica Hospital, Global Hospital are very near to the property. Also some of the best schools, colleges, restaurants, multiplexes, banks can be easily accessed from the township. Shopping malls like Gurgaon Dreamz Mall, Ansal Plaza, and Neo Square Mall are just a few kilometers from the residential development. The IGI Airport can be reached within a few minutes via UER II and the bus stand and railway station are only 30 minutes from the property. The township is also closely located to Delhi-NCR and NH8. Developed over 9 acres of land, the township consist of 8 towers. It offers the range of living spaces according to your budget without compromising the conveniences and comforts offered. The township provides you with beautiful 2 BHK and 3 BHK apartments. 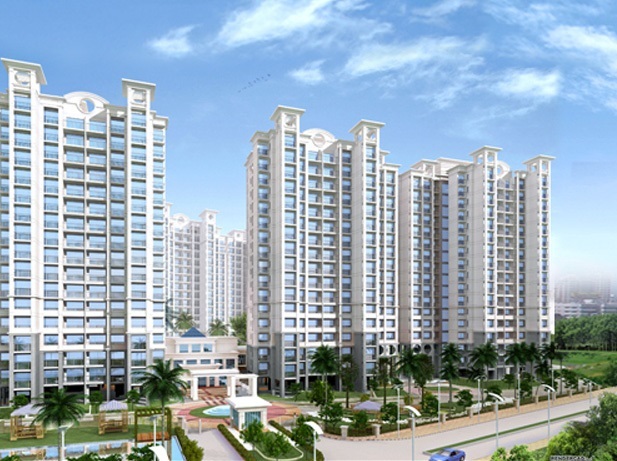 Hero Homes Gurgaon floor plan has been arranged in the area of 1150 sq.ft to 1750 sq.ft. You can buy a house here at prices between Rs 65 lakhs to Rs 1 crore.